This is one of my favourite printed Cotton Poplin fabrics from New Threads Quilt Shop at Weyhill Fairground. 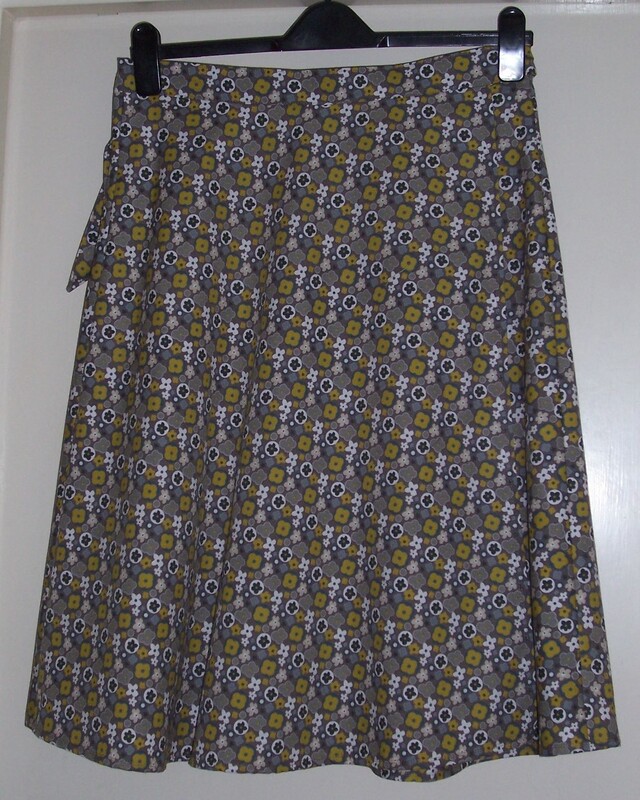 I already have a dress in this print and colourway and to co-ordinate with several Mustard coloured tops, I decided to make a wraparound skirt. 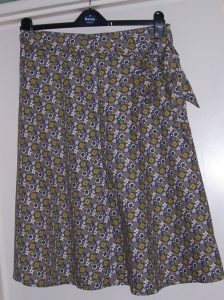 I used my TNT pattern that originated in the “Dressmaker” book by Ann Ladbury, printed and broadcast on TV in 1976. 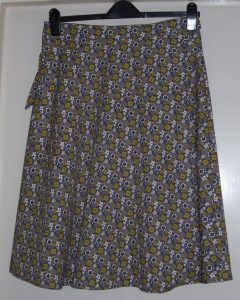 Just goes to show what a classic design this skirt is. It is also very useful to accommodate my waist measurement as it goes up and down! 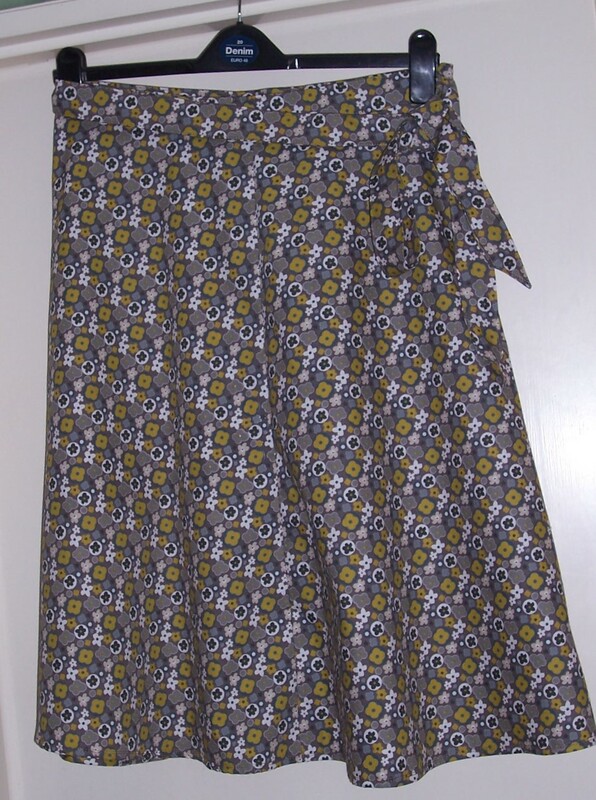 As this is a cotton fabric, I lined with anti-static lining for two reasons: 1 – it adds weight and warmth to the skirt and 2 – it prevents the skirt from sticking to tights when worn during the colder months of the year. I simply mounted each panel of the skirt to the anti-static lining, machine basted the two layers together and then stitched as one layer. The seams and all hem edges are overlocked. The hem and overlap/underlap edges are hemmed with my usual twin-needle. The finished length is approximately 26 inches an ideal length for me as it comes just below my knees. There is a long buttonhole just to the rear of the right side seam through which the tie belt is passed before tying in a knot on the left-hand side. This is a quick sew and I am sure will be worn a great deal from now until the Spring when I plan to start making and wearing a new colour theme.